My oldtime favorite is Ky Wonder, but if allowed to get big they are stringy. I discovered Kwintus a few years ago, and love them. No matter how big they are they are still tender and stringless. The seeds are hard to find lately. I have saved seeds year to year. This sounds like one of the varieties my dad gave me seeds for. He originally got them from a friend who had forgotten what the were. Mom and dad just call them "The Big Ones." Can you tell me what the seeds look like? I searched on line and found many listings for Kwintus (found out it's also called Northeaster and Early Riser), but only pictures of the pods. Northeaster seeds are white. The traditional KY Wonder seeds are brown. Last edited by dustdevil; October 3, 2016 at 01:11 PM. Are the Northeasters pure white? And what shape are they? These are what the seeds from "The Big Ones" look like. I'd really love to find out what the are. I also really love beans. I love growing really everything and often wish there was a place like TVille where all veggies are equal! haha. I grew flamingo, trionfo violetto and blue shackamaxon and I didn't try a single one of these beans! I saved them all for seed to distribute. But that blue shackamaxon was nuts productive. I think the other two would have been as well but they kept getting nipped by bunnies and the flamingos couldn't seem to get the concept of the bean tepee. For bush I have been growing blue lake and love them. I haven't tried another variety . Kinda if it ain't broke why fix it? Great canner bean for me. I had one bean tepee last year, i'm upping to 5 this year. Mother of 3, homesteader, canner, gardener, dwarf tomato participant. You can still try Blue Shackamaxon - it generally is grown for dried seed! Good to know Philagardener! I need to learn to eat dried beans other than just in chili. Lol! Was poking around looking for bean ideas and came across this old thread. Need to try shellies this year. I did not want to start a new thread and was unable to find type of beans I am looking for even with the google search. I am growing beans for the first time. We would like to add them to a salad raw. So, string beans would be preferable. I am growing tendergreen bush improved, taste and production is fine. My DH does not like it for a reason that its pods does not have smooth skin. Please help. I need few names of the bush and pole beans that have smooth pods. Sounds like something good to try. Strings are so disappointing in a green bean! And if there are bedbugs around....Kidney bean leaves. Scientists are trying to recreate their effect with synthetic materials. Kwintus seeds are white- I originally got Kwintus seeds from Park Seeds, but when they stopped selling them I found them at Kitazawa Seeds. Someone said that Early Riser beans are the same-THEY ARE NOT! 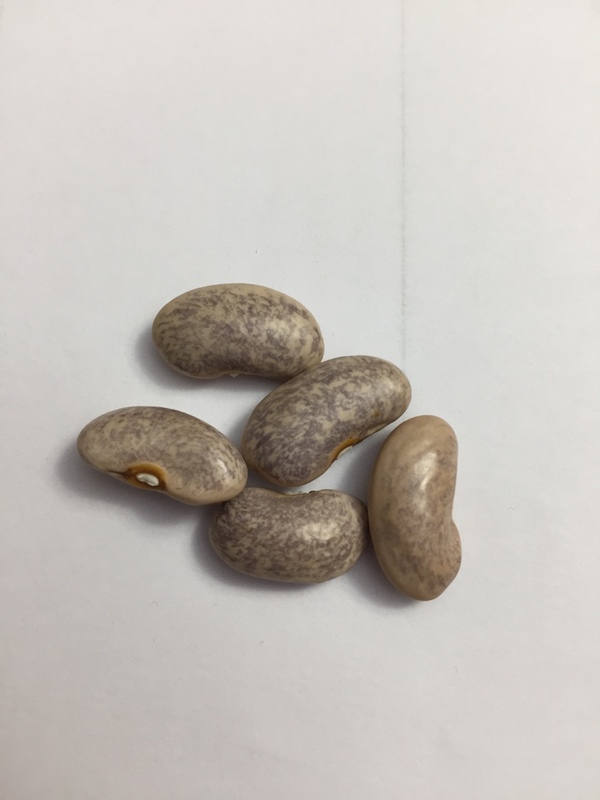 Kwintus beans are flat Italian type pole beans which can get fairly large and not be stringy or tough. Kwintus, Northeaster, and Early Riser have all been distributed as the same bean (Kwintus=Early Riser, Northeaster=Early Riser) . Whether they are all different, two are the same, or all three are the same is lost on me. I'll keep trialing white seeded, very early, stringless, large, flat, green podded varieties under those names to see if I can find any possible difference in them. Tormato, thanks- I will be interested in hearing your results. At 83 years of age, I just don't feel like attempting any long range trials! But there has been a lot of variation in my harvests, and I don't know what causes it. Some of my beans will grow in a semi-circle instead of straight- no clue why-is it heat-winds, ? I will continue watching this thread to get all the help I can--I love my beans! I wouldn't rely on Kitazawa for accurate info. They do have a good selection of rarer veggies, though. They still list Akahana Mame and Shirohana Mame as common beans (P. vulgaris), whereas they are runner beans. As for your curled beans, very likely weather related. There are some varieties that always grow curled, like Garrafal Oro, and Anellino Giallo (if I remember and spell correctly). For me, GO grows somewhat semi-circle. I sent seeds to someone out in the high desert/mountain country, and they grew complete full-circle. When a pic was posted at another site, almost everyone was astonished, having never seen anything like it.